Vanilla fragrances can tend towards sticky, synthetic sweetness. Fortunately that is not the case with ours. Vanilla Golden Leaf is a blend of exotic vanilla and golden amber with a gentle infusion of tea. The result is a warm, sophisticated vanilla. 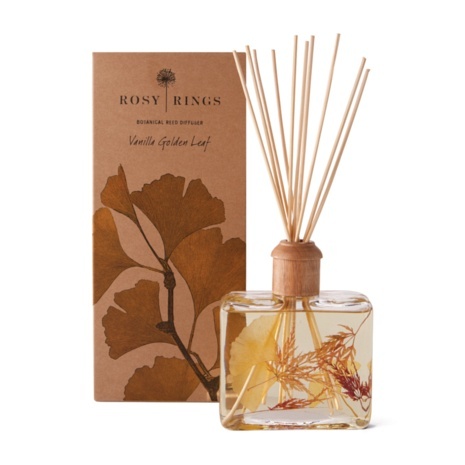 Made with: gingko leaves, Japanese maple lace leaves, essential and high quality fragrance oils. Each 13 oz. bottle comes with a decorative wooden cap and 10 reeds. The fragrance will last 6-9 months.